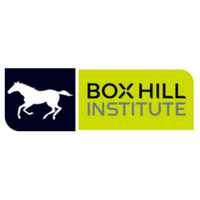 Box Hill Institute is a leading Victorian vocational and higher education provider. It offers a wide variety of courses to both local and international students, from apprenticeships to degrees, short courses to diplomas, and in a range of delivery modes including full time, part time and off campus. When Box Hill Institute was shortlisted for a series of Vocational Training and Innovation Awards they turned to Affect Media for their media relations needs. A main priority for the institute was to secure effective media coverage in both their local catchments and student – focused media. Box Hill Institute required a fast turn-around product which could be disseminated within a few days of briefing. They did not have any direct media contacts within their specified target areas, and needed a company that was quick on their feet and well connected to local and education-focussed news sources. Within 24 hours of being contacted, Affect Media created a series of top-class media releases. We then devised and implemented a media distribution plan specific to each media release.